Temperature range: approximately below 4°C (39.2°F). The warning light will blink for 10 seconds and then illuminate. Also, the warning chime will sound. 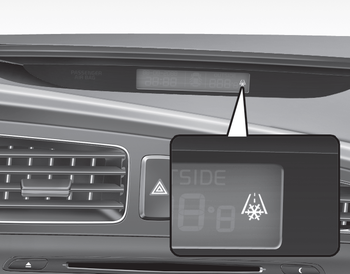 If the icy road warning light appears while driving, you should drive more attentively and safely refraining from over-speeding, rapid acceleration, sudden braking or sharp turning, etc.